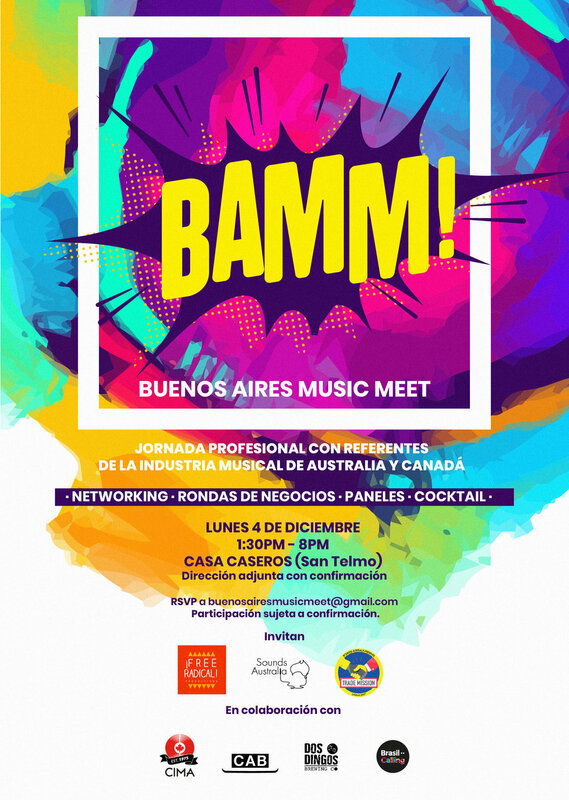 Commissioned by Sounds of Australia (The National Music Export Office of Australia) to curate a one day industry event as a part of their Chile-Argentina-Brazil trade mission along with CIMA (Canadian Independent Music Association) to introduce them to the Argentine music industry. The conference including networking events, business speed meetings, round table discussions, bilingual panels and hosted nearly 100 delegates in its first edition. Panel of Latin American Music Experts for Sounds of Australia Showcase Artists 2017. "Seven Samurai" Jury Member at the WOMEX World Music Expo in 2012, reviewing nearly 1000 submissions of World Music artists to select under 30 showcases for a conference of approximately 3000 delegates.